A 6.2-litre V-8 engine with unparalleled torque and acceleration to get you on plane quickly and smoothly. Power and acceleration are delivered with 6.2 litres of displacement and a long-runner scroll intake manifold that optimises air flow for higher torque. Adaptive Speed Control maintains rpm during hard turns, creating a sportier, more intuitive driving experience without needless throttle adjustments. 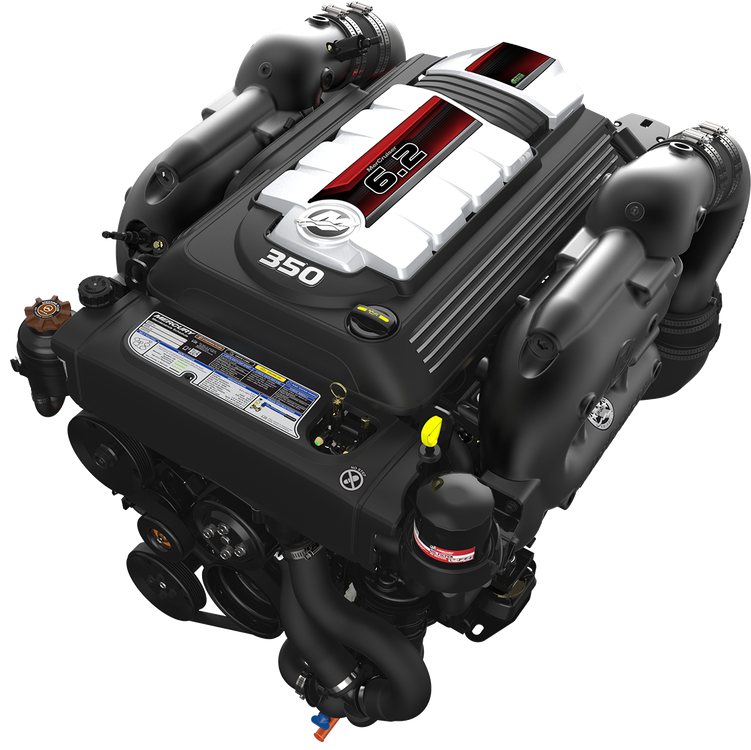 An unmatched boating experience thanks to an intake resonator and aft-facing throttle body that work together to reduce noise dramatically, whilst directing the engine sound away from the cockpit. Front and rear engine mounts isolate vibration for a smooth, quiet performance. Accessible, easy-to-reach, colour-coded maintenance points.